Did you know that the Canadian Supplement to NAFS excludes buildings on hills, escarpments, and on slopes steeper than 10 degrees, from it’s simplified calculation methods? 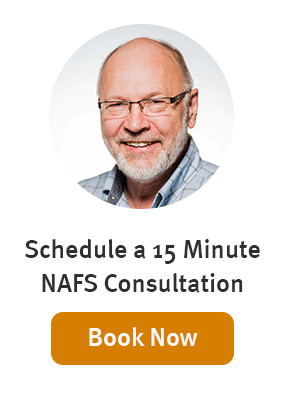 Depending where you are in Canada, there may be more than one acceptable method for determining NAFS Performance Grades. In this article we survey the available options. The building code recognizes that it is not always practical to test every single window, door or skylight product to NAFS, and provides an alternative compliance path: “design and construction according to Part 5”. NAFS-11 vs. NAFS-08: What's different? Technical standards such as NAFS, and the Canadian Supplement to NAFS, are often supplemented by technical interpretations (TI) and bulletins. As official interpretations, they are relevant to all users of these standards. The CSA has now made made the latest TIs and one bulletin public. Well, it is now 2016 and last month Code Santa gave British Columbia a NAFS-related present: a significant update to the BC Building Code with considerable changes to address difficulties related to NAFS compliance. For the BC market, this is big news. But is it relevant to the rest of the country? Read on, and decide for yourself. There is confusion and misunderstanding about how NAFS applies to windows and doors in Part 9 buildings. Does it apply to all fenestration products? Is it the only way to demonstrate compliance with the air-water-structural requirements of the Code?